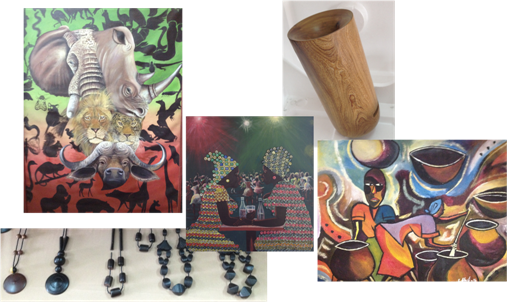 In our gallery we market a wide range of Malawian art and craft. We stock carvings from Mulanje to Salima; paintings from Zomba, Blantyre and Mangochi; textiles from Balaka and Chikwawa; as well as selected pottery and metal art. Our wooden and beaded jewelry is particularly popular as are the Boom Boxes, our wooden smart phone amplifiers. In addition to art and craft the gallery holds a wide selection of books on Malawi and serves as an outlet for delicious Makoka Coffee, which is produced in Zomba District. You will be sure to find a gift here for every occasion!